Here the everyday turkey burger is transformed into a lively Moroccan meal with a few strategic spice and herb additions for a filling gluten free burger meal. In a small bowl, mix together the yogurt, 1/2 teaspoon of the cumin, 1/2 tablespoon of the lemon juice, 1/2 tablespoon of the cilantro, and the sugar. Set aside the yogurt sauce. Preheat the grill or a heavy pan over medium-high heat. In a large bowl, combine the turkey, egg, green onions, curry powder, salt, and the remaining 1 tablespoon lemon juice, 1 tablespoon cilantro, and 2 teaspoons cumin. Mix well, then form into 4 patties. Lightly oil the grill or stovetop grill pan and grill the burgers on one side until mostly cooked, 6 to 8 minutes, then flip and grill until cooked through, 3 to 4 minutes longer. Place 1 lettuce leaf on the bottom half of each bun. 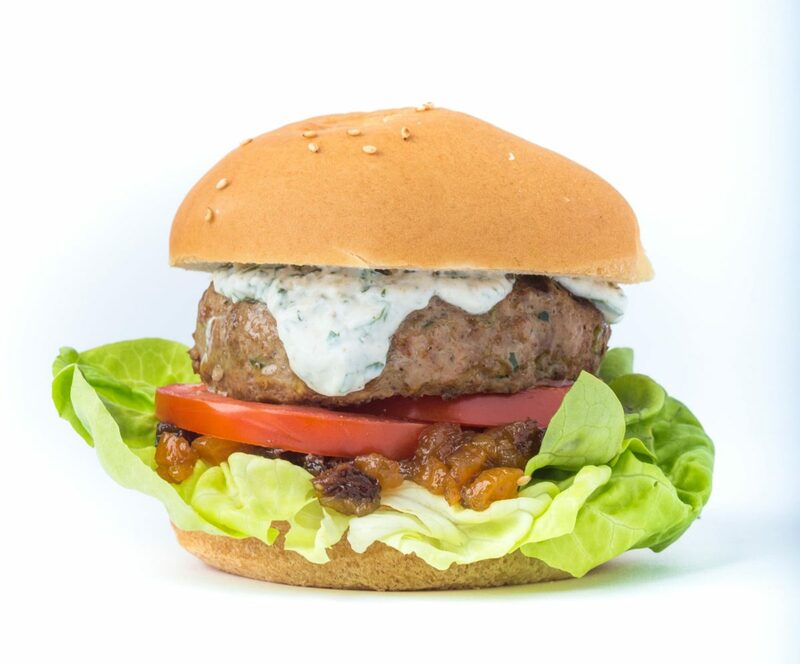 Top each with 2 tablespoons of chutney, some sliced tomato, a burger, a dollop of yogurt sauce, and the bun top and serve. MAKES ABOUT 1 CUP Don’t like it hot? Lose the red pepper flakes. Store leftovers of this sweet-tart condiment airtight in the fridge for 3 weeks—and break it out for any cheese platter. In a small, heavy, nonreactive pot, combine all of the ingredients except the sugar. Stir well and bring to a boil over high heat. When the mixture begins to steam and bubble at the edges, turn the heat to low and let the chutney simmer for 10 minutes. Stir in the sugar, return to a simmer, and cook, uncovered and stirring very often, until the mixture is the thickness of chunky jam, 15 to 20 minutes. Pour the chutney into a clean 1/2-pint (1-cup) jar and let cool a bit before using or storing.